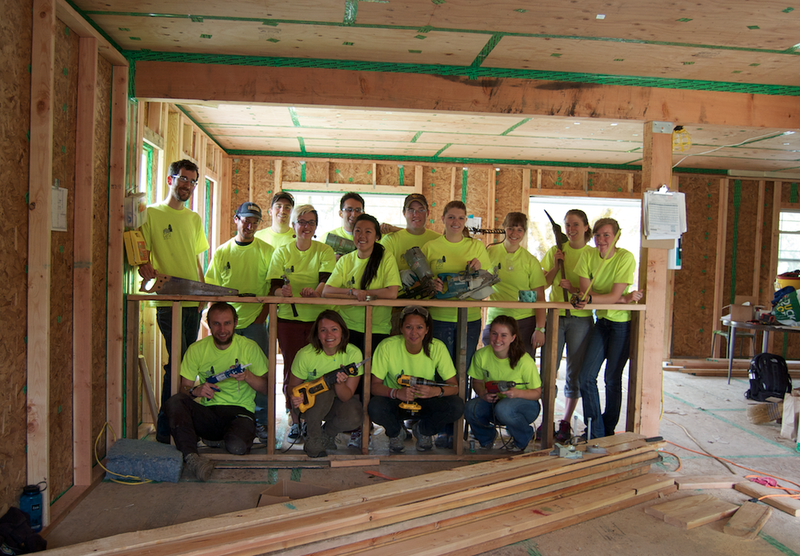 The Center for the Advancement of Sustainable Living (CASL) is a student-run organization at the University of Oregon meant to inspire ecologically and socially conscious living practices through experiential learning. The group, founded in 2002, acquired a home to retrofit with the latest green building technology. The CASL house will soon operate as a state-of-the-art demonstration home for low-impact living near campus. CASL holds workshops, classes, and tours that connect University of Oregon students and faculty with community organization and local professionals. Ultimately, the house at 1801 Moss Street in Eugene will be the home of three CASL Directors who will facilitate tours, maintain the grounds, and will be exemplars of easy and economical living. 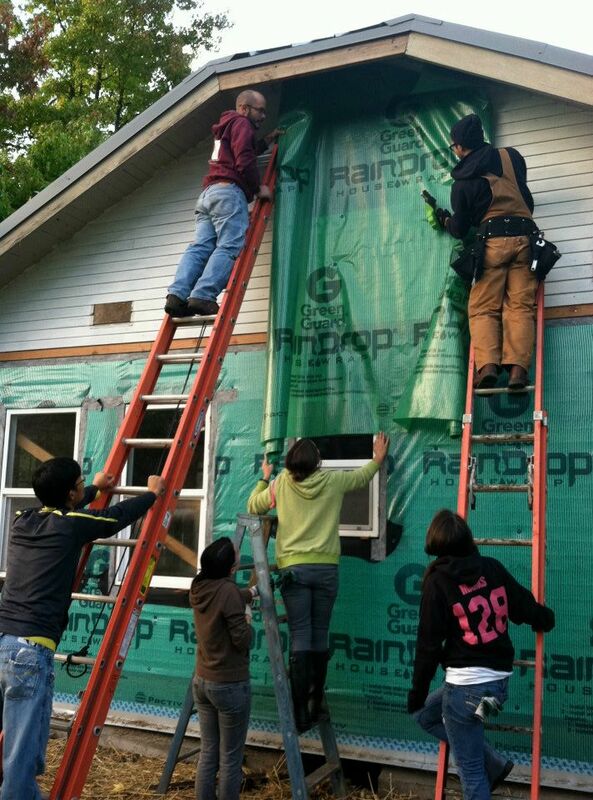 This project was created in collaboration with dozens of volunteering students, neighbors, and green building professionals for the past 12 years. It has been a hands-on student-led design-build project spanning Architecture, Landscape, Interiors, Environmental Studies, and Journalism departments inspiring classes in Urban Farming, Permaculture, Advanced Technology, Design Studio, and more. The east facade over the years showing original condition (far left), moisture barrier (center), additional rigid insulation, and new cedar siding (far right). Special thanks to my dedicated colleagues Bob Jones (Advisor), Peter Reppe (Passive House Consultant), Rebecca Seward (Co-Director, Construction Manager & Graduate Administrative Fellow), Mike Beamer (Co-Director), Shannon Arms (Graduate Administrative Fellow), Andrew Cohen (Co-Director & Construction Manager), Kaeli Nolte (Coordinator), and Grace Bennett.